Welcome to the two hundred and thirteenth of my blog interviews with novelists, poets, short story authors, bloggers, biographers, agents, publishers and more. Today’s is with non-fiction author Terra Hangen. A list of interviewees (blogged and scheduled) can be found here. If you like what you read, please do go and investigate further. Morgen: Hello, Terra. Please tell us something about yourself and how you came to be a writer. 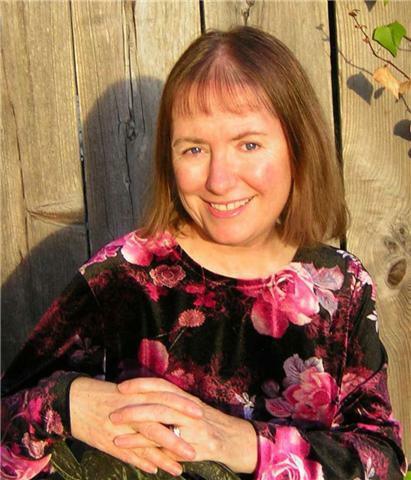 Terra: I adored reading books from age 3 and up, became a librarian and tested my wings as a freelance writer. My first sale was in 1999, an article titled “Coffee for the Birds”, which you can still read online by googling my name. I was very happy to be paid $100 for that first sale. Terra: Some fun things about me are that I chose to attend college in Istanbul, Turkey for a year, and while there my friend, Carol, and I flew to Beirut and hired a taxi to drive us to Petra, the abandoned and mysterious red city in the middle of a desert in Jordan. We rode horses in to Petra, and stayed the night in a remote police fort at Wadi Musa, since there were no hotels nearby, at that time. We also walked the Way of the Cross in Jerusalem at Easter. Morgen: Wow, what an experience… and something definitely to write about. What genre do you generally write and have you considered other genres? Terra: I admire the creativity of people who write fiction, but I prefer to write nonfiction on subjects dear to me. Morgen: It’s just as well we like different things (the only non-fiction I write is on writing :)) or we’d all be competing for the same ‘air space’. 🙂 What have you had published to-date? Terra: My first book is “Scrapbook of Christmas Firsts: Stories to Warm Your Heart and Tips to Simplify Your Holiday”, which is hardcover and has full color on each page. This is a lovely gift book for everyone who is building fun and easy Christmas traditions for their family. My book was co-authored with five writers: three who live in Ohio, two who live on ranches in Texas, and me way out here in coastal California. Our collaboration was via email and we became close friends. Morgen: That sounds like fun… and aren’t computers great? (when they work properly) 🙂 And you’ve had more articles published? Terra: My articles are published in dozens of magazines, including Mature Living, Victorian Homes, Hobby Farms, Florida Monthly, Family Digest, Lutheran Digest and many others. Terra: Book authors today have to do a lot of marketing, and submit an extensive marketing plan with their book proposal. My book was published with a traditional publisher that has a talented PR team. Morgen: Most interviewees have said that they’ve had to do a fair amount of marketing (and many say it’s their least favourite aspect!). Do you have an agent? Do you think they’re vital to an author’s success? Terra: I don’t have an agent, as of today, but that may change. Morgen: The title of your book is very catchy, did you have any say in it? Terra: Our publisher, Leafwood Press, let us suggest and vote on titles, and also on the cover art that their art team prepared, and the cover we preferred was the one they used. It is a beautiful cover of a Christmas tree in blue and white and the silver stars are shiny. Morgen: It is, it’s very pretty. Have you had any rejections? If so, how do you deal with them? Terra: I think every writers will have rejections. I keep the work in circulation so if it is rejected, I send it out as soon as possible to another magazine or book publisher. Morgen: Good plan, then you have no time to dwell. 🙂 What are you working on at the moment / next? Morgen: Oh, great. 🙂 I wish you all the best with that. Do you manage to write every day? What’s the most you’ve written in a day? Terra: I try to write something every day, at least for 15 minutes, and even when I worked full time I got up one hour early to write, when no one else in the house was awake. That adds up to some real writing time, 20 hours per month in that extra one hour a day Monday – Friday. Morgen: Exactly; 300 words is a 100K book a year… very feasible (says she whose writing has been mainly NaNoWriMo every November). 🙂 What is your opinion of writer’s block? Do you ever suffer from it? If so, how do you ‘cure’ it? Terra: Sit in the chair and write something, anything. Morgen: Indeed… but that’s the trouble often; getting into that chair. 🙂 You write non-fiction, how do you decide what to write about? Terra: I love flowers, herbs, growing vegetables, protecting wild animals, celebrating Christmas, and prayer walking and so that is what I write about. Terra: I write my books and articles on my laptop computer, though when I gather research, like for my gardening book, I take notes in pen on paper and then write a chapter on the computer. Morgen: You said to sit and write, what other advice would you give aspiring writers? Terra: Read great writing, written some years ago, like Jane Austen’s “Emma”, C.S. Lewis’ “Mere Christianity”, and recent titles “Peace Like a River” by Leif Enger and “Major Pettigrew’s Last Stand” by Helen Simonson. Terra: I walk along the Pacific Ocean, read, swim in a warm water pool, spend time with my husband and our adult sons, and enjoy lunch with friends and with my Christian writers group. Terra: I enjoy and am active in Facebook, LinkedIn, ShoutLife and on twitter (I am terragarden on twitter, come say hi). Terra: My blog http://terragarden.blogspot.com has helped me find a big group of friends from all over the world. Morgen: Isn’t it great? I so love technology. Where can we find out about you and your work? Terra: My book has its own website where there are about 400 tips on how to make Christmas simple and full of the spirit of the season, including recipes, at http://scrapbookofchristmasfirsts.blogspot.com and you can buy the book and read more about it on http://amazon.co.uk and http://amazon.com. Terra: Many people tell me that when they hold my Christmas book in their hands they love it. The art is charming and the tips are fun. Morgen: The cover is gorgeous and it sounds like a little treasure. 🙂 Thank you Terra. Thanks for doing an interview with the talented Terra, Morgen! Really interesting interview with Terra Hangen. I hopped over here from her Blog and found the questions and answers informative. Good luck with your books Terra. I’m sure they’re great. Terra has a really beautiful spirit and is a great friend even though she strolls along the beach near the Pacific and I’m on the southern coast near Galveston and the Gulf Coast. While I’m excited to be a partner with Terra in the Scrapbooks we’ve produced, I can’t wait for her gardening book to find a publishing home as well! Thanks for giving others the opportunity to meet Terra. I had the privilege of co-authoring with Terra on A Scrapbook of Christmas Firsts; she’s a delight and a knowledgeable writer of gardening material. Thanks for “sharing” her talents with the world & Merry Christmas!